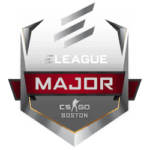 100 Thieves Miss eLeague Major Boston US-based eSports team 100 Thieves had to pull out of the Counter-Strike: Global Offensive eLeague Major Boston in last week’s New Challengers stage, because …. 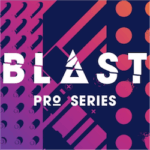 SK Gaming Victorious at Inaugural BLAST Pro Series The BLAST Pro Series was set to be one of the most exciting CS:GO e-gaming events of …. 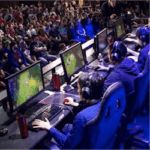 Perfect World Masters 4th Minor of 2017 The first video game competition officially recorded was played at Silicon Valley’s Stanford University in October 1972, on the game Spacewar, with the …. 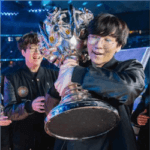 Samsung Galaxy Crowned League of Legends World Champions for 2017 Samsung Galaxy has cleaned up at the League of Legends World Championships, sweeping aside SK Telekom T1 to take the …. 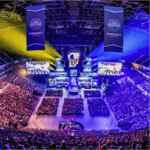 Good Week to Discover eSports Betting Kiwi online punters yet to explore the betting options available on eSports have several options to tempt them on Friday and Saturday, 3 and …. LOL World Champs Update The Group Stage of the 2017 League of Legends World Championship is well underway and we are starting to get an idea of how each team …. 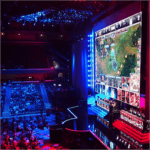 Saturday Continues League of Legends World Championship As computing power and online connectivity continue to increase worldwide, many Kiwis who enjoy online sports betting are starting to discover the possibilities …. Opening Day Of The International 2017 The opening match of this year’s Dota 2 World Championships, dubbed The International, saw two powerhouses clash. 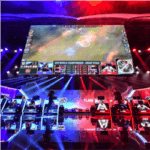 Invictus Gaming faced off against Team Liquid, …. Heading into the DOTA 2 International August the 2nd, 2017 is the kick off date for The International, the DOTA 2 World Championships to be held in the Key Arena …. 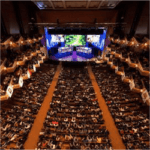 Record Prize Pool For Dota 2 Tournament The annual Dota2 world championships, known as The International, kicks off next month and it was recently announced that the prize pool will ….